The group means for skin care age special requirements. Thin skin of the eyelids and eye contour different from the skin of other parts of the body - it has relatively little subcutaneous fat, it is more vulnerable, easily stretched, wrinkled. Care eyelid skin have a delicate, light texture, good moisturizing and regenerative properties, they promote the growth of eyelashes and do not contain irritating substances. • Eliminates swelling, congestion, provides a powerful fitting through a combination of plant extrac.. 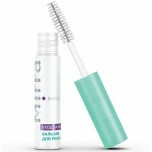 The nourishing eye cream with a lifting effect protects the delicate skin around the eyes from prema.. The contour gel hydrating eye – gel with lifting effect. Smoothes the skin around the eyes, nourishe..